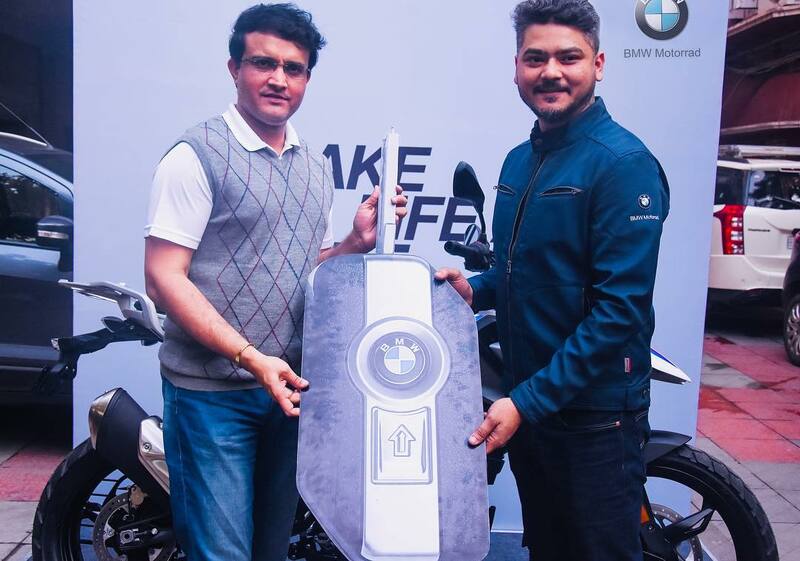 Sourav Ganguly, the former Indian skipper has recently bought himself a BMW G310GS in India. The motorcycle is finished in Pearl White Metallic shade and seems to be without any additional accessory at the moment. The brand offers two more shades namely Cosmic Black and Racing Red for the lightweight adventure motorcycle. The overall weight may not be as light as mentioned, but in comparison to regular adventure machines, the architecture favours the rider. 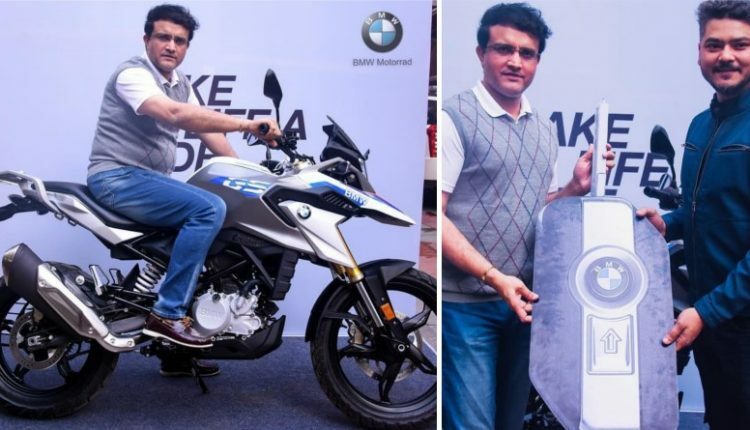 Sourav Ganguly was seen unwrapping the motorcycle cover, also giving a shot by sitting on his new possession. 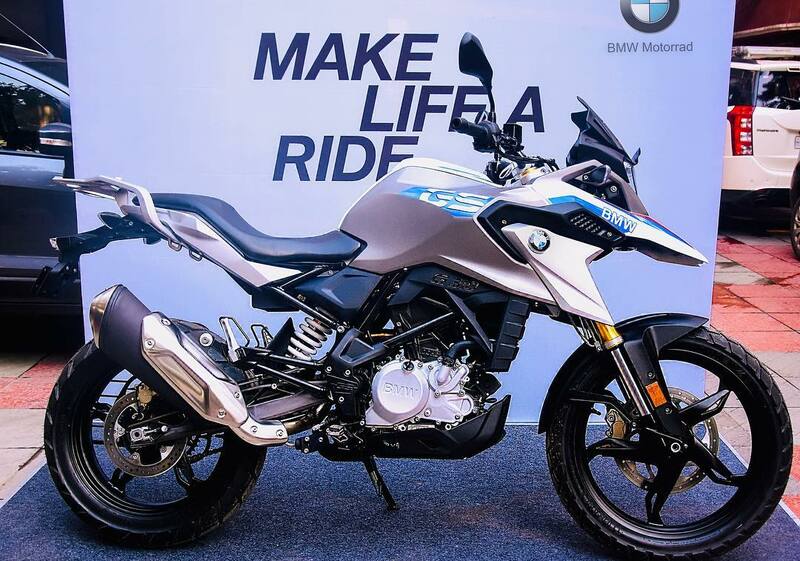 BMW G310GS is based on the same platform as G310R, using a different set of suspension and tire combination to improve the overall seating. The high seat not just facilitates better rough road riding, but also brings a commanding view of the road ahead. The front comes with 41mm USD forks with 180mm of travel while rear comes with a preload adjustable monoshock with 180mm of travel. The 169.5 kg of wet weight is great for new riders as balancing an adventure motorcycle with high seat height and heavyweight can be truly difficult. 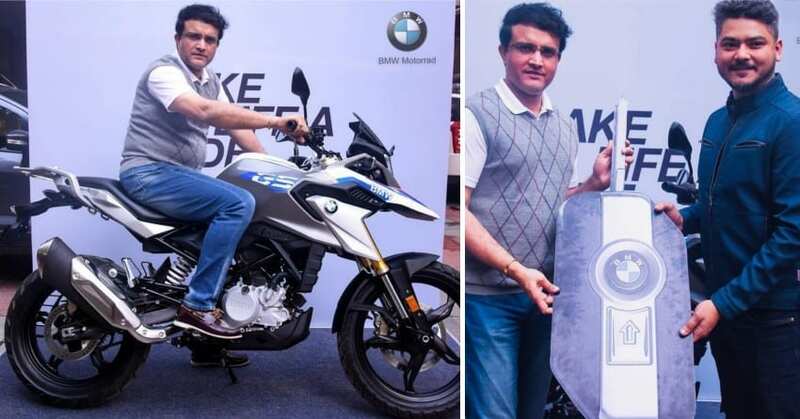 The 313cc, single cylinder engine on the BMW G310GS is good for 34 HP at 9500 rpm and 28 Nm at 7500 rpm. The engine comes mated to a 6-speed gearbox. 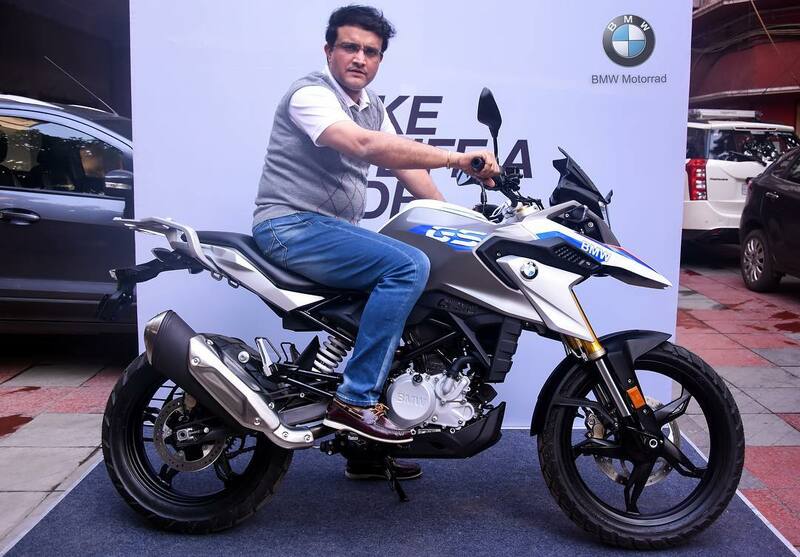 The claimed top speed of 143 kph makes G310GS a great option for all-day long riding. 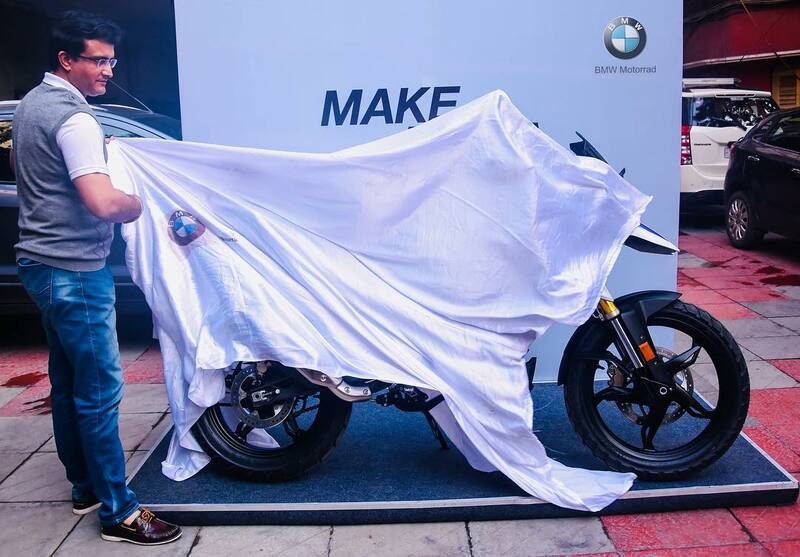 Buyers can get their hands on any one of the three shades for INR 3.49 lakh (ex-showroom). 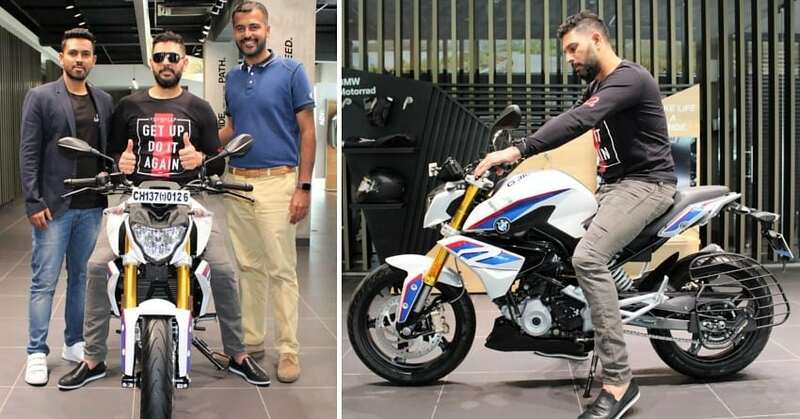 However, the service cost for BMW bikes is quite high in comparison to other regular brands with similar engine capacity.